Furmint, száraz. A mádi hetedik metaforánk: underground. Készült: 509 palack. Slightly sultry nose, but once it opens up, it displays kiwi fruit, green apple and some white flowers. 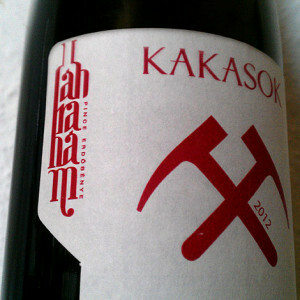 Fresh and firm with medium body and razor-sharp acidity. The palate reflects the flavours of citrus fruits, green apple and kiwi fruit, with a medium finish. Still too young. This wine definitely needs a bit of time. – Dániel Ercsey – Winsofa. A bor nálunk már nem kapható, de az Andrássyban még található valamennyi. Hamarosan jön a 13 mas.